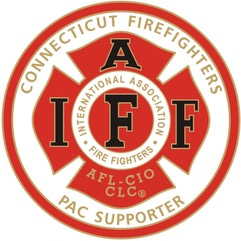 May 20, 2005 – The IAFF has been notified that the application period for the Assistance to Firefighters Staffing for Adequate Fire and Emergency Response (SAFER) grant program begins May 31, 2005, and continues through June 28, 2005. Applications are available at http://www.firegrantssupport.com/safer/. It is very important for applicants to follow the guidelines when applying. Click on SAFER for program guidance and information. Fire departments can also contact the Fire Grants Help Desk at 1 (866) 274-0960 or email firegrants@dhs.gov. SAFER grants provide funding for the hiring of fire personnel. Through the Department of Homeland Security Appropriations Act of 2005, Congress has provided $715 million for the Assistance to Firefighters Grants, with $65 million of this funding specified for SAFER. An amendment to increase federal funding for the SAFER Fire Fighters Act was included in the FY 2006 appropriations bill that passed the House of Representatives May 17. Included in the measure was an IAFF-backed amendment to increase funding for both SAFER and the FIRE grants program by $50 million. The amendment increases the recommended funding for SAFER by $25 million, bringing the total House-passed amount to $75 million, an increase of $10 million above last year’s enacted level. However, the program remains under funded and well below the authorized level. The IAFF is continuing its work for adequate SAFER and FIRE Act funding.